The following is a list of the 88 amphibian species documented for Paraguay based on Brusquetti & Lavilla (2006). The scientific and English names are given (where they exist). Numbers in brackets after the order and family names refer to the number of species recorded in Paraguay. A further 18 species cited for Paraguay were removed from the list by the same authors based on insufficient evidence and additional species not yet recorded were predicted to occur (see bottom of page). Global conservation status is given in red after the species name and follows the 2007 IUCN red list categories. Eco-region endemism is indicated by the following codes: CH Chaco; AF Atlantic Forest; CE Cerrado; MG Mesopotamian Grasslands. Click on taxonomic links for more detailed information about the group. Click on species links for access to the image gallery of the species in question. Click on individual photos to enlarge them to full size. 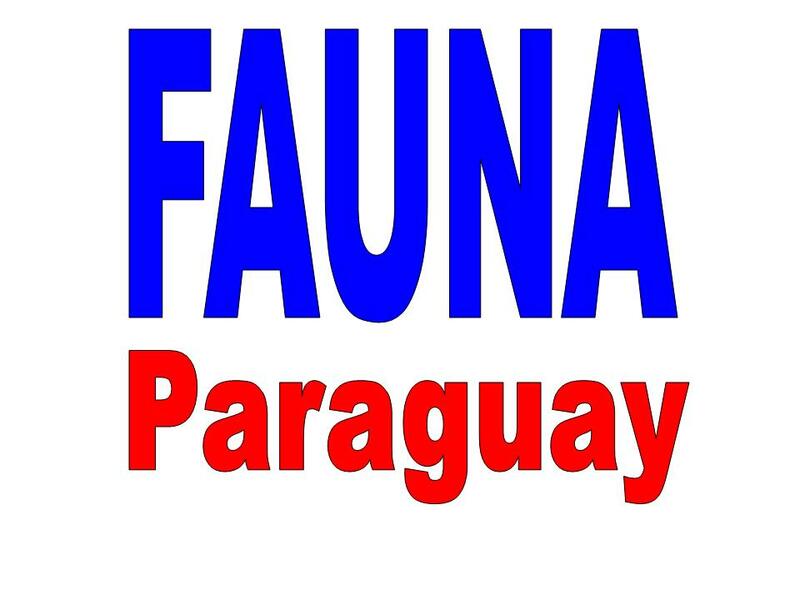 Each photo in the FAUNA Paraguay database is coded for citation purposes. Complete database available on request. Aplastodiscus perviridis (Lutz 1950) - Records from the Atlantic Forest of Misiones, Argentina are close to the Paraguayan border. Its presence in Paraguay is considered probable. Dendropsophus tritaeniatus (Bokermann 1965) - Known from the cerrado of Bolivia and Brazil and likely also present in Paraguay. Eleutherodactylus henselii (Peters 1870) - Possible in the relict Araucaria forests of eastern Paraguay though deforestation in this area has been extensive. Its presence in Paraguay is considered possible. Epipedobates braccatus (Steindachner 1864) - A Pantanal species that may be present in the Mato Grosso region of Paraguay. It occurs in neighbouring Brazil. Epipedobates pictus (Tschudi 1838) - A Pantanal species that may be present in the Mato Grosso region of Paraguay. It occurs in neighbouring Brazil. Hyalinobatrachium uranoscopum (Muller 1924) - Possible in the relict Araucaria forests of eastern Paraguay though deforestation in this area has been extensive. Its presence in Paraguay is considered possible. Hypsiboas varilae (Carrizo 1992) - Known only from its type locality in Argentina, it is however close to Paraguay and its occurrence here is considered possible. Leptodactylus plaumanni (Ahl 1936) - Possible in the relict Araucaria forests of eastern Paraguay though deforestation in this area has been extensive. Its presence in Paraguay is considered possible. Odontophrynus cordobae (Martino & Sinsch 2002) - A cryptic species extremely similar to O.americanus. Though currently known only from the Cordoba area of Argentina, Frost (2006) tentatively suggested that its distribution may reach Paraguay. Its presence in Paraguay is considered possible. Phyllomedusa boliviana (Boulenger 1902) - Recorded in the Bolivian Chaco close to the Paraguayan border. Its presence in Paraguay is considered probable. Physalaemus henselii (Peters 1872a) - A Paraguayan specimen MN486 in the Museum of Natural History in Rio de Janeiro has been referred to this species but its poor condition renders it unidentifiable. Its occurrence in Paraguay is considered probable. Pleuroderma guayapae (Barrio 1964b) - A population exists near to the Paraguayan border in Tarija, Bolivia. Its occurrence in Paraguay is considered probable. Proceratophrys bigibbosa (Peters 1872a) - Records from the Atlantic Forest of Misiones, Argentina are close to the Paraguayan border. Its presence in Paraguay is considered probable. Pseudis minutus (Gunther 1858) - cited by Méheli (1904) for the Asunción and Concepción area, but currently no specimen or documented evidence exists. Its presence in Paraguay is considered probable as it has been found on islands in the Rio Paraná. Rhinella arenaria (Hensel 1867) - Recorded close to the Paraguayan border in the Chaco of Argentina and Bolivia. Often cited for Paraguay (Bertoni 1939, Gallardo 1987) but currently no specimen or documented evidence exists. Its presence in Paraguay is considered probable. Rhinella mirandoribeiroi (Gallardo 1965) - Currently considered a subspecies but likely worthy of specific recognition, this species is of probable occurrence in the cerrado belt. Scinax aromothyella (Faivovich 2005) - Records from the Atlantic Forest of Misiones, Argentina are close to the Paraguayan border. Its presence in Paraguay is considered probable. Scinax granulatus (Peters 1871) - Cited by Aquino et al (1996) as S.eringiophila but lacking documentation or a specimen. The occurrence of this species in Paraguay is considered possible in the relict Araucaria forest of eastern Paraguay. Scinax parkeri (Gaige 1929) - Known from the cerrado of Bolivia and possible in Paraguay. Scinax perereca (Pombal, Haddad & Kasahara 1995) - Supposed Paraguayan specimens of this species are referable to S.fuscovarius, though its occurrence in Paraguay is considered probable as they occur in northern Argentina. Scinax uruguayus (Schmidt 1944) - Records from the Atlantic Forest of Misiones, Argentina are close to the Paraguayan border. Its presence in Paraguay is considered probable. Siphonops annulatus (Mikan 1820) - Cited as probable by Dunn (1942), Taylor (1968), Frost (2006), IUCN (2006). Wide-ranging distribution in South America and it is considered probable in Paraguay. Trachycephalus dibernardoi Kwet & Solé 2008 - Possible in the relict Araucaria forests of eastern Paraguay though deforestation in this area has been extensive. Its presence in Paraguay is considered possible. Caecilia sp. - Reported from Bahìa Negra by (Padial et al 2003) but lacks proper documentation. Ceratophrys ornata (Bell 1843) - Old records of this species in Paraguay (eg Budgett 1899) are referable to C.cranwelli which was split by Barrio (1980). Dendropsophus rubicundulus (Reinhardt & Lutken 1862) - Cited for Paraguay by Aquino et al (1996) based on misidentified specimens of D.jimi and D.eleaneae. Elachistocelis ovalis (Schneider 1799) - Distributed north of the River Amazon. The numerous citations of this species for Paraguay refer to E.bicolor. Eleutherodactylus discoidalis (Peracca 1895) - Bertoni (1914) cites Hylodes discoidalis for Paraguay but this is an Andean species unlikely to ever occur in Paraguay. Hyla palliata (Cope 1863) - Cited for Paraguay based on a lost specimen from the Page expedition. The written description does not facilitate identification beyond generic level to Hypsiboas. Hypsiboas boans (Linneaus 1758) - Cited by Bertoni (1939) as Hyla boans but this species is distributed well to the north of Paraguay and its occurrence here is unlikely. Hypsiboas cinerascens (Spix 1824) - Cited by Boulenger (1894) as Hyla granosa but this species is distributed well to the north of Paraguay and its occurrence here is unlikely. Hypsiboas crepitans (Wied-Neuwied 1824) - Cited by Boettger (1885) and Bertoni (1914 & 1939) as Hyla crepitans but this species is distributed in dry areas well to the north of Paraguay and its occurrence here is unlikely. Hypsiboas polytaenius (Cope 1870) - Cited from diverse localities in Paraguay by Aquino (1986) and Aquino et al (1996) but no evidence exists and it may be a result of an erroneus identification of H.caingua. Lithobates palmipes (Spix 1824) - Registered as Rana palmipes by Bertoni (1939) no corroborative evidence exists to support its presence in Paraguay. Melanophryniscus stelzneri (Weyenbergh 1875-1876) - Cited for Paraguay by Aquino et al (1996) based on a composite sample of M.atroluteus, M.fulvoguttatus, M.klappenbachi and a new species of Melanophryniscus. Odontophrynus cultripes (Reinhardt & Lutken 1862) - Cited for Paraguay by Cope (1863) and Frost (2006), but no documentation or evidence exists. Its known range is confined to eastern Brazil. Pleuroderma bibronii (Tschudi 1838) - Cited by Cope (1862) and later questioned by Gallardo (1968). 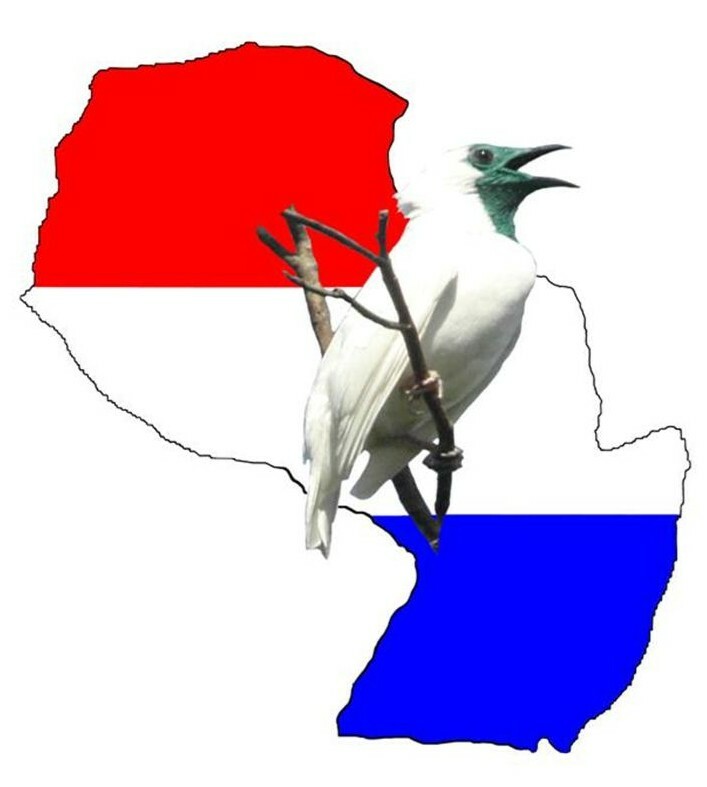 There is no supporting evidence and the species is considered unlikely in Paraguay. Proceratophrys appendiculata (Gunther 1873) - Izecksohn et al (1999) mention specimens supposedly from the Asunción area in the Museu de Zoologia da USP but the locality information may be suspect as there is no other evidence that the species occurs in Paraguay and the known range of the species is well-removed. Proceratophrys boiei (Wied-Nueiwed 1824) - Mentioned by Bertoni (1939) as Odontophrynus boiei, but this likely refers to P.avelinoi which was described later. P.boiei is confined to eastern Brazil. Rhinella dorbigyni (Duméril & Bibron 1841) - Published Paraguayan records (Boettger 1885a; Bertoni 1914 & 1939) likely refer to misidentified Chaunus granulosus major. Scinax catharinae (Boulenger 1888) - Cited by Bertoni (1939) as Hyla catharinae but this species is confined to extreme southeast Brazil and its occurrence here is unlikely. Scinax ruber (Laurenti 1768) - Cited by Bertoni (1939) as Hyla ruber but this species is distributed well to the north of Paraguay and its occurrence here is unlikely. For references cited here see Brusquetti & Lavilla (2006) Lista Comentada de los Anfibios del Paraguay - Cuad. Herpetol 20(2): p3-79. We highly recommend this paper to interested readers and it is available for reference in the FAUNA Paraguay library. Alberto Esquivel, Arne Lesterhuis, Rebecca Zarza, José Luis Cartes and Hugo del Castillo and are used with their permission.